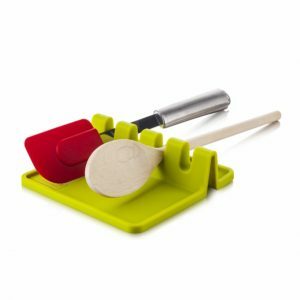 Keep your countertop clean during cooking with the Utensil Rest XL. 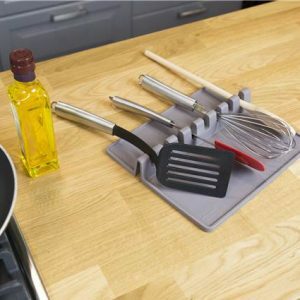 This smart kitchen help is made from non-slip silicone and is designed to let your utensils rest during cooking without having to clean your countertop. 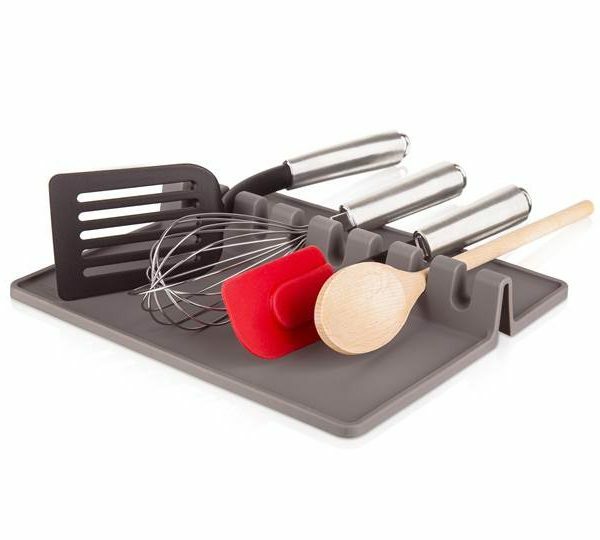 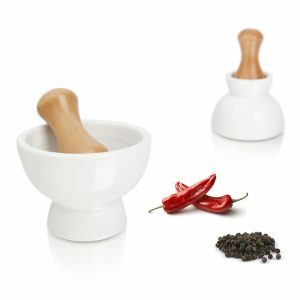 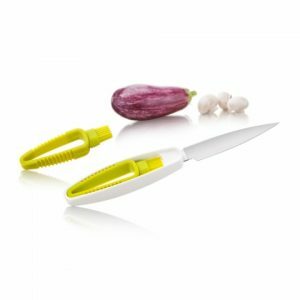 The large notches offer place for up to eight cooking utensils and are also suitable to keep your spring tongs in place. 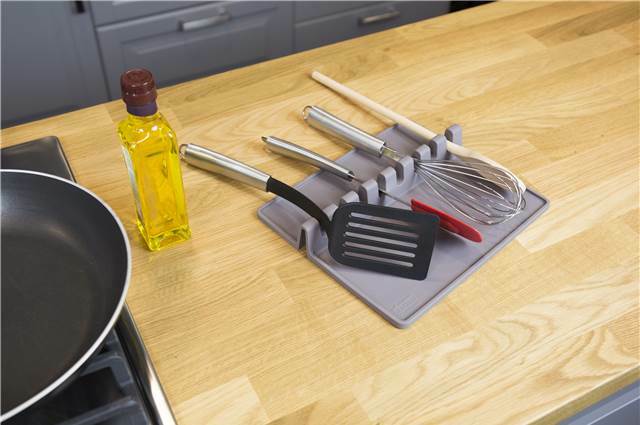 The raised edges prevent cooking fluid from leaking onto your countertop.